Over at PMQ Pizza Magazine, we decided to try our hand at doing a video contest. While the results have been low so far, we hope that by our new deadline of MAY 10 many of you will submit a short video to us. The production value is of no concern and we even recommend just filming it on your phone to make it simple. The prize is of great value and we plan to continue to promote your pizzeria as the winner across our social media and print magazine. To learn more about our contest and to submit by May 10, visit.http://woobox.com/exqcdw. We sat down with Phil Westrick of Innov8 who is donating a one-year full marketing package to one lucky video contestant to talk about social media and why such a contest is important. BONUS: Innov8 will give all video entrants a free 30-day trial of the new Innov8 Lite a mobile optimized online ordering-only solution (no app). 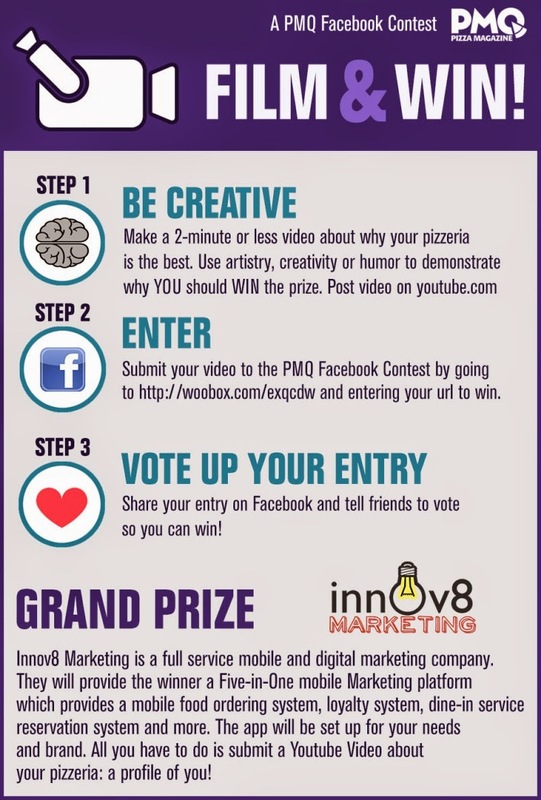 PMQ: What will someone entering the video contest receive from Innov8? Can you go into more detail about what the prize is and what that could mean for a pizzeria? PW: The winner of this contest will win free setup, and 6-months free maintenance on our Five-in-One Mobile Marketing Platform. 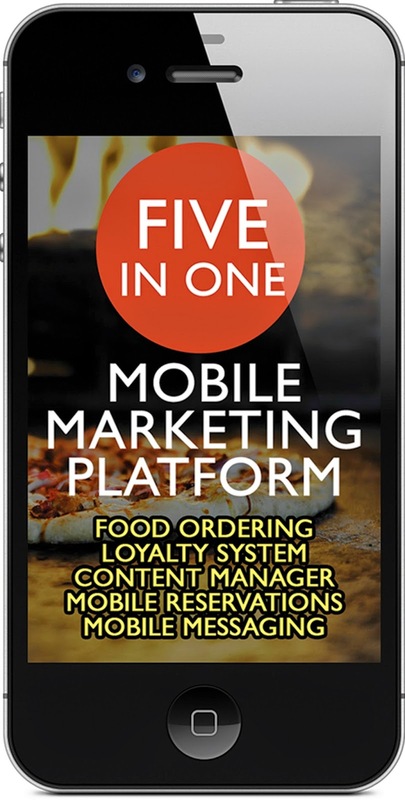 Our platform gives pizzeria owners the ability to release an Android and iPhone mobile application designed for their brand including a mobile messaging system, mobile food ordering, mobile loyalty system, and a reservation management system all controlled with our easy to use content manager. Mobile application can do amazing things for small businesses. Combining a mobile ordering and loyalty system together can raise both average order size and order frequency, increasing profits. PMQ: Why do a contest on social media? How does that help a business? PW: Contests on social media can boost customer engagement for a local small operator pizzeria, leading to a conversational relationship with their patrons. Social media can turn everyday customers into loyal customers, and those customers can contribute to a company's success in more than a transnational manner (for instance winning a prize worth $2,500). A successful social media campaign behind a contest like this would also build anticipation for the restaurant winning the prize, for instance a pizzeria could run in-store promotions on the contest telling customers that if they win, a certain menu item would be free on the first day of the mobile app launch on all new mobile app orders. This does two things, it can persuade customers that do not currently like you on social media to check out your page. If your pizzeria wins, and you give away a free menu item on the first day to online orders, it also introduces your patrons to the online ordering process. PMQ: What is fun about doing videos to find the best pizzeria instead of just having people like a status or enter a giveaway? PW:A video allows customers the chance to participate in the process. A well done video can also 'go viral', causing people to share and tell the video to other friends, spreading its reach. You're not likely to find that exposure in a simpler or easier method such as liking a status. PMQ: What do you find is lacking in marketing for most pizzerias? PW:What troubles us most is when we go to a pizzeria to tell them about our offering only to find out they just spent $3,000 on a shared coupon mailing service. They're advertising like it's 1995. For that $3,000 they could have sent 5,000 of their own mailers (not hidden in a package of coupons) through EDDM, and they could have invested in digital marketing to increase their customer engagement, loyalty, and average order size going forward. PMQ: How can Innov8 help? PW: Innov8 is here to assist pizzeria's with reaching their customers and growing their business in today's marketplace. We know that small business owners are the every-man in their restaurant, and that because of that some pizzeria owners may not have the opportunity to keep up with the best practices in marketing their business. Innov8 is dedicated to their client's success, we will recommend options both traditional, and digital that will help a pizzeria stretch its marketing dollars. Even advising in marketing practices we don't currently provide directly (EDDM).